“We are a Western Mass Jeep Group. We all enjoy getting our jeeps MUDDY! Great group of Men, Woman and yes some children too! We participate in lots off family off-roading trips, as well as some not so kid friendly trips too. We do not limit the group to Jeep Owners. Trucks are more than welcome. If this sounds like a group you would like to join, visit ProjectSnorkel.webs.com and click on the “Apply Button”. 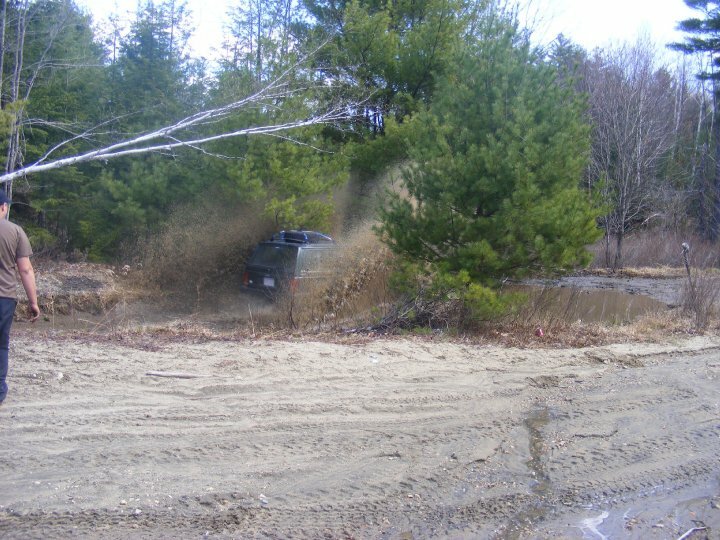 Joining in the cleanup of an area like this one tends to give off road Jeepers a positive image. It’s also a way to give back to a community that opens up it’s trails for Jeeping. So get off you hind quarters and get out and help if at all possible. Several of the members of our club participated in this cleanup. I was impressed with the response. On the whole, Jeepers are responsible and considerate citizens who give back to the community. This was just one more example. I got called into work that day to cover for someone who was sick or I would have been there. I believe in community service, especially if it’s a clean up project like this one. It’s great that you advertise this type of event. Wiley’s Road is looking pretty good since the cleanup. A lot of people pitched in and made a big difference. I’m too old to do the big things anymore but I was there to help with whatever I could. Every little bit helps.